Man Week is going pretty good. I’ve drove Brian into women’s clothing – making him the laughing stock of his office for an afternoon and I’ve had a request to guest blog. Maybe they even themselves out? Regardless, it’s getting the readers talkin’. 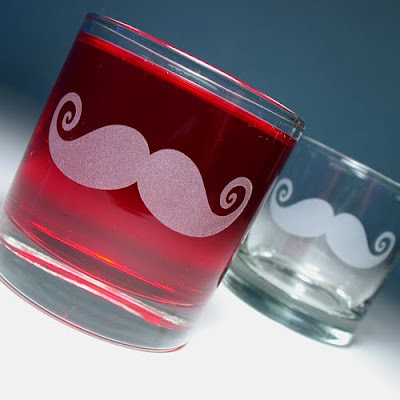 For Thirsty Thursday, I wanted to include the manliest cocktails. So I consulted Google. A few top ten lists came up, so here are some of the number one selections. Ask Men names the All-Irish Black and Tan the number one drink for men. And with two parts beer, that’s pretty manly. How to prepare it: Add the Smithwick's Ale to a pint glass, and then add the Guinness by pouring it over the back of a spoon. Guyism.com suggests that the manliest drink is Scotch Laphroaig. I’ve tried this one and immediately grew a beard and started talking like Barry White. I’ll write more about this brand one day, but basically Laphroaig its nickname is “The King of Smoke,” and its considered one of the strongest flavored scotch whiskies. Finally, the Hipster’s Handbook calls for a Gin Martini or The Manhattan. The Shot of Brandi recommendation? Go with the Manhattan. Heck, the drink says MAN in it. Or some hard spirits, like vodka, gin, whiskey, brandy, etc., on the rocks.